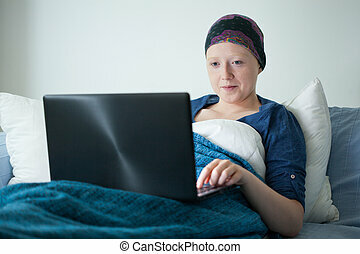 Evening surfing in bed. 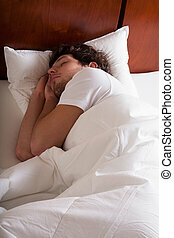 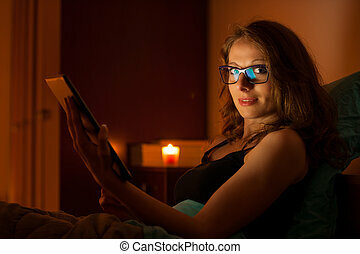 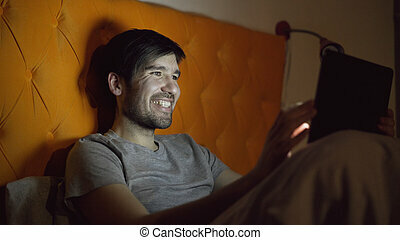 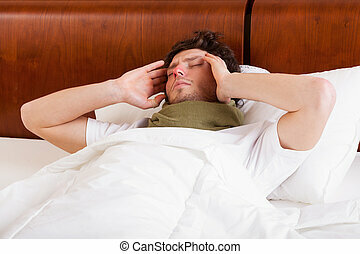 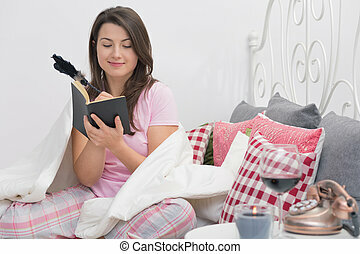 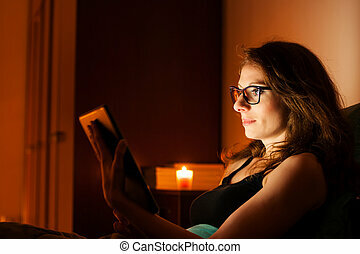 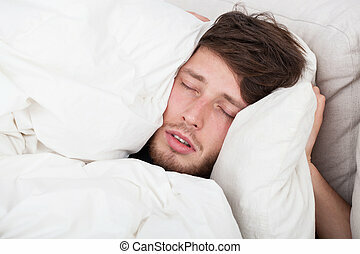 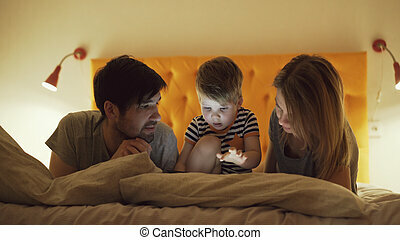 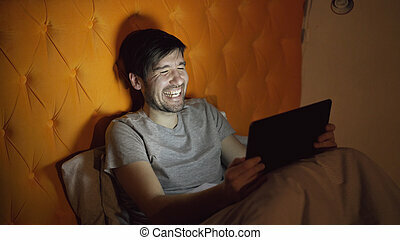 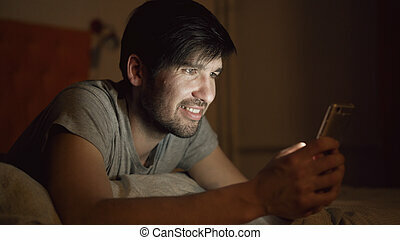 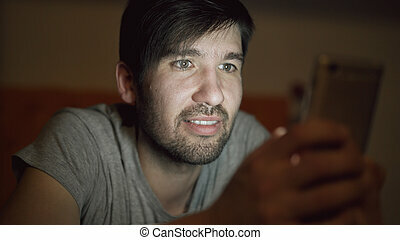 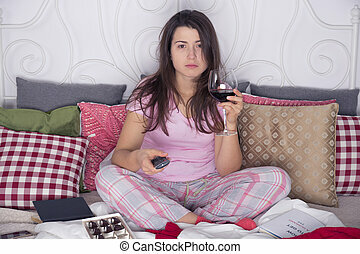 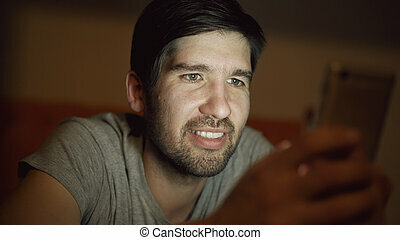 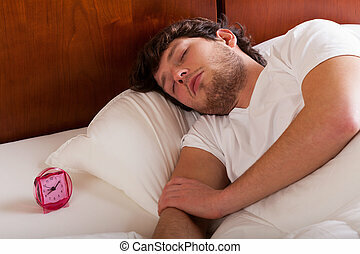 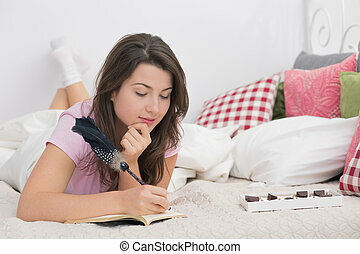 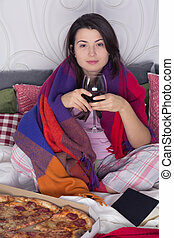 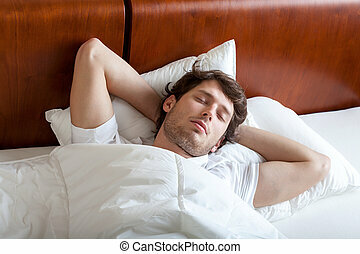 A man surfing the internet in bed in the evening. 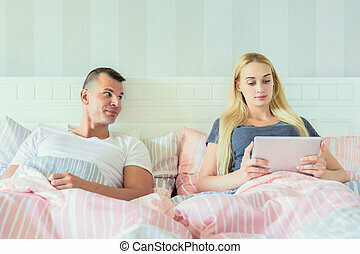 Young attractive couple in bed, using digital tablet.